This is for all y’all who don’t understand how terrifying these suckers are. This is a good joke. This is such a solid, quality joke. 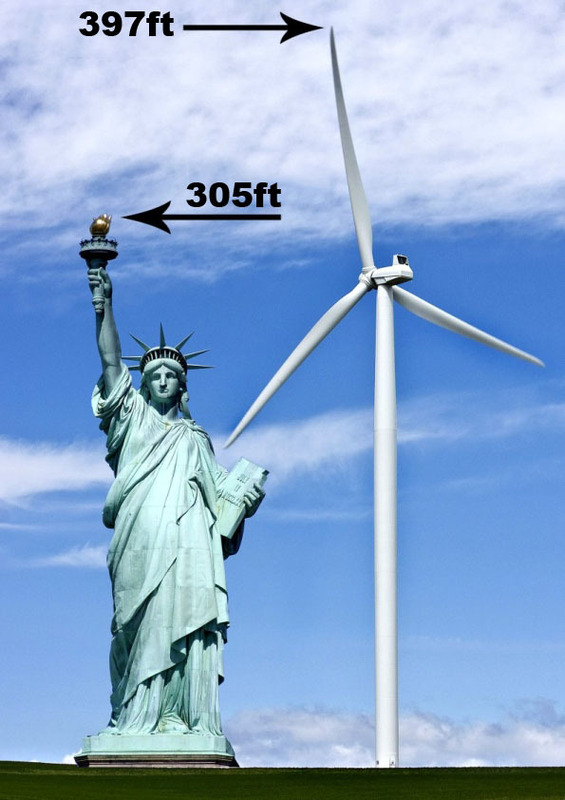 The initial image is a size comparison between the statue of liberty and a wind turbine. The wind turbine is over ninety feet (about 28 meters) taller. A commenter pretended to misinterpret the image as one of a wind turbine attacking the statue of liberty. The next commenter answered with an image of Don Quixote, a literary character who once thought a windmill was a monster and announced his plans to fight it. They are joking that if a wind turbine attacked the statue of liberty, Don Quixote would be willing to fight the wind turbine. 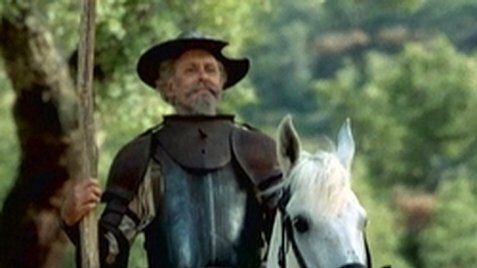 Incidentally, that scene led to the English idiom “tilting at windmills,” meaning a person who has not only disproportionate reactions of anger, but disproportionate reactions of anger to nonexistent challenges. So all those people who are fighting to preserve coal jobs and the fossil fuel economy are….